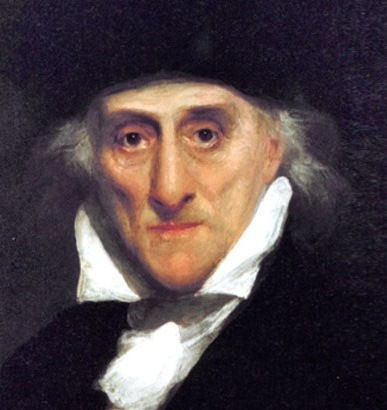 How many lives was Lorenzo Da Ponte able to live in the eighty-nine years that took place between his birth in a Jewish ghetto outside Venice in 1749 and his death in New York? The mere outline of dates and places is already somewhat astonishing: for someone to reach such longevity at a time when the median life expectancy was under forty years, and also to be able to travel so far in a world of difficult and unsafe paths, of archaic and closed societies in which the immense majority of people grew old and died either in the same place where they had been born or not very far from it, leading a life that was identical to that of their most remote ancestors. But Lorenzo Da Ponte escapes habitual categories as audaciously as he used to escape the cities and countries where life was starting to become difficult, which in one way or another would be almost all of them, or as he would abandon jobs and even identities, possible futures in which he would have undoubtedly liked to get settled. A scarcely exhaustive enumeration already provides somewhat of a frame: he was a seminarian; he was a gambler; he taught Hebrew, classical languages, Italian literature; he was a shopkeeper in Pennsylvania and a bartender in New Jersey; he was a librettist, editor, bookseller, opera impresario; he successively practiced Judaism, Catholicism, Anglicanism; he bowed down in the ante­cham­­bers of emperors, archbishops and princes and then scribbled clandestine pamphlets against them. Reading his memoirs is as agitated an experience as witnessing the exploits, ruses, escapes, jolts, strokes of daring or of shamelessness that take place in the three Mozart operas whose librettos he wrote, generally with utmost speed, and during a time of his life that turns out to be quite brief in comparison to the length and variety of his disorderly biographies. Historians often say that, as a memoirist, Da Ponte is not very trustworthy. Charles Rosen observes that he usually fails to remember precisely what we would most like to hear. But if the words in these memoirs are not too exact, their music immediately becomes familiar, and in it there is no room for deception: as we read pages more replete with adventures than the wildest serial, we have the feeling of recognizing some of Don Giovanni and Leporello’s tricks and the conspiracies that baleful Bartolo and resentful Marcellina plot against Figaro and Susanna, and the games of masks and impersonations to which the couples of symmetrical lovers devote themselves in Così fan tutte no longer seem so implausible. Occasionally, Da Ponte reminds us of Casanova: not for nothing were they friends, and his compatriot’s memoirs likely served as a model for his own. Sometimes a whining note also surfaces, approximating a persecution complex, that delivers echoes of Rousseau’s Confessions. But compared to Da Ponte’s, Casanova’s and Rousseau’s lives, so fertile with misfortunes, travel, abrupt changes of luck, seem monotonous to us. Ultimately, Casanova and Rousseau each sketch a single identity for them­selves—that of libertine, that of philosopher—while Da Ponte impetuously and restlessly goes through so many consecutive identities that we are almost never able even provisionally to attach him to any of them. There is another decisive difference: although Da Ponte tells, and does not stop telling, he never confesses, neither with Casanova’s impertinence nor with Rousseau’s exhibitionism and introspection. What Rosen states is true: Da Ponte refuses us some of the things that we would most like to know. What was this life like, that of a Jew who was poor, confined to a ghetto, con­verted at age fourteen, baptized and yet, one might imagine, suspected of being peculiar, insecure in a social position that was as artificial as his own name? And what might it be like to work with Mozart, to discuss changes to a libretto’s text with him, to arrive at his home in Vienna with a bundle of handwritten pages and to observe his reaction as he would read them, maybe as he smiled while imagining the music that would accompany those words? Someone dies young and never gets to know to what extent the world would change so shortly after his death: the Revolution was already underway in France when Mozart died, at the end of 1791, but perhaps no one in Europe had yet realized what was happening, what would happen so imminently, the great distur­bance of all hierarchies, the destruction of the static and sacred order within which Mozart himself had to attempt to settle and against which his personal rebellious instinct struggled so unsuccessfully. In Da Ponte’s memoirs there are no references to Mozart’s death, even though around that time he still had not definitively left Vienna. When he would travel to Paris, after surrendering to the conspiracies of enemies that ruined his career as an official court poet, Da Ponte received, at an inn, the news of the captivity and death sentence of King Louis XVI and decided to change the course of his trip and head to London. This is how his life had been up to then, and this is how it would continue to be until the end: an unexpected setback would force him to adopt a different path than the one he had planned on taking. Everything came to him through chance, suddenly, as a surprise, starting with his conversion, which was brought about when his widower father wanted to marry a young Catholic. Because of intrigues and slander from his enemies, he assures us, he had to leave Venice, abandoning a dignified position as a professor—although it appears that he reconciled it with the role of anonymous pamphleteer—and as hastily as he had to run away he ended up settling down in Vienna and using his talent and agile astuteness to try to obtain the official post of poet for the Italian theaters. He had previously considered the possibility of making a living as a poetry improviser, a respected and lucrative profession in the Italy of his youth, and one that was a good match for his quick wit and talent for extemporization. Da Ponte did very many things and did them at full speed, and perhaps that is why he had time to write so much and to live so many lives. Regarding the composition of the libretto and the music for Le nozze di Figaro, he claims that he and Mozart took less than six weeks; and when he started writing Don Giovanni, he simultaneously worked on a libretto for Salieri and another one for Martín y Soler, whom he called Martini, and with whom it seems he forged a warmer friendship than with Mozart. He would write for twelve hours without interruption each night, he tells us, sustaining himself with wine, coffee and tobacco from Seville, with an insomniac dedication fueled by caffeine and nicotine and anticipating Balzac’s, and which did not hinder him from paying attention to the sensual attributes of the sixteen-year-old girl who would keep vigil through the night to serve him. His friend Casanova’s catalog of conquests and the one that Leporello attributes to Don Giovanni reveal the efforts and tasks of a disquiet that is as tireless as that in Lorenzo Da Ponte’s business dealings, trips and failed enterprises. As for Don Giovanni, his intentions are eventually shattered, almost always because of chance or the plotting of adversaries, but, just as with the seducer, Da Ponte does not let bad luck defeat him and quickly throws himself into a new daydream constructed with all sorts of practical cunning and trifles that will very soon be thrown into disarray once again. In such excessive variety, there is a principle of monotony, just as in the mechanical conquests of the libertine gentleman: Da Ponte is always almost about to achieve a solid position, to settle down lastingly in only one life, to win the repose that is becoming more necessary with the passage of time: but always, because of his bad luck, his credulity, his good faith, there is a scoundrel who thwarts his intentions, a disloyal partner who keeps the store funds, a fake friend who forced him to sign a document that now brings him to ruin and almost to jail, a jealous competitor who spoils his good name at court with murmurs and calumnies, an illness, an accident, a horse carriage that overturns, a recently declared war that destroys commercial expectations. As in some dreams, what was about to be accomplished disappears, what was already certain turns out to be nothing. There might be over a thousand names written down in Leporello’s notebook, but as Don Giovanni’s story progresses, every conquest is frustrated. A scene of surprise and adversity is repeated in Da Ponte’s memoirs more than once as a creditor or agent knocks at the door and gives him a piece of paper that will hurl him from respectability to ruin, usually a document that he himself signed, just as Figaro committed in writing to marrying Marcellina and now sees the paper bearing his signature appear like a curse. Like Don Giovanni, persecuted by revengeful peasants, unmasked by the somber triple alliance of Donna Elvira, Donna Anna and Don Ottavio, Lorenzo Da Ponte had to flee from one place to the next in Europe, and where there was nowhere else to escape to on the Continent, he would cross the English Channel to England, and when he was also cornered in England, he would take a ship to escape to the other side of the Atlantic Ocean, to the New World that had inaugurated a future of commercial dynamism and bourgeois egalitarianism that would abolish the very last traces of the absolutist Europe of hungry and docile peasants and men in powdered wigs. While Da Ponte did soften the political weight of Beaumarchais’s comedy in the libretto for Le nozze, it is also true that class conflicts and differences are represented with unusual rawness in his three operas with Mozart. Leporello complains about his subordinate position and declares that he no longer wants to serve; Despina is exhausted as she crushes the chocolate that her idle ladies will enjoy and that she will only have through its succulent and forbidden aroma; Count Almaviva believes that he can use money to corrupt Susanna on the very day of her wedding; and Don Giovanni is unscrupulous as he barges into a peasant couple’s nuptial celebration with the intimidating arrogance of a nobleman. That scene stops being implausible when considering the social class factor: saying no to the feudal lord is not an option, and the seduction is not a game of spirit but rather becomes an obscene gesture of power. He must have had something to do with it, of course. Le nozze di Figaro (1786); Don Giovanni (1787); Così fan tutte (1789). Essay from the Summer 2016 issue.